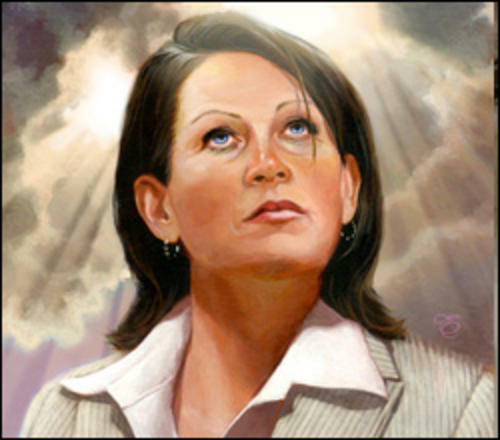 A piece published yesterday in national culture blog The Awl has linked a recent Rolling Stone hitpiece on Michele Bachmann to a 2006 story from City Pages and Dump Michele Bachman blog. Apparently, the City Pages piece has been a major source for national news coverage on the presidential hopeful. We won't go into the parallels, but you can check it out for yourself at The Awl. That's supposed to be a picture of Bachmann? It looks more like Minnesota Senate Majority Leader Amy Koch.